Full integration with the onboard navigator. Your trucking company has to pick up a load from a customer’s premises. You check the closest available truck. With the click of a button, you send the pickup location to your driver’s navigator, along with clear instructions. As soon as he stops, he will be able to accept and initiate the job. Do you see how simple, clear, safe and economical it is? Frotcom’s Integrated navigation module is your solution when you need to communicate with your drivers in a simple, clear and economical way, while providing a navigation instrument that avoids routing mistakes. Frotcom’s Integrated navigation enables interaction between fleet managers and drivers via a navigator in the vehicle. You can send destinations to the vehicle’s navigator (clients, loading and unloading sites or others, along with instructions). 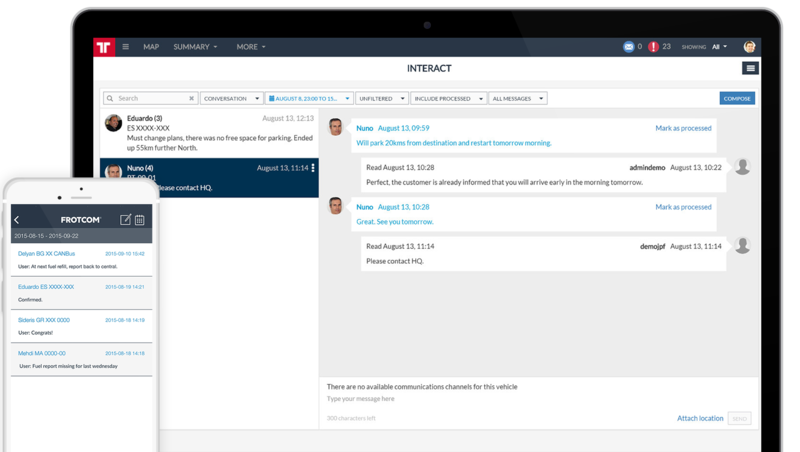 Your drivers will be able to read and reply to messages received from the office, or create and send new messages. They will also be able to select a destination point received from the office and navigate to it. In fact, if your company policy allows it, drivers can also exchange messages. 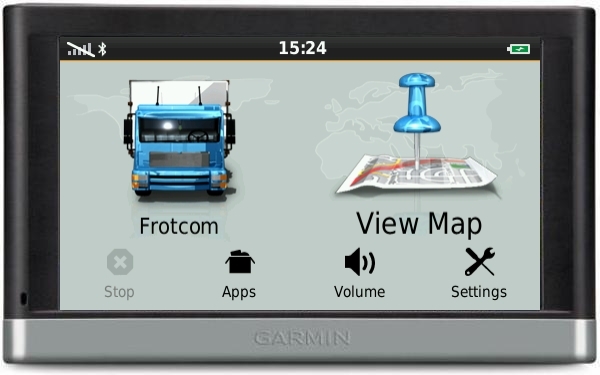 The Integrated navigation module provides Frotcom with an interface for Garmin navigators, allowing not only interaction between the office and drivers via texting, but also the possibility of navigation to destinations received from the office. The Frotcom GPS device in the vehicle is connected to the Garmin navigator. 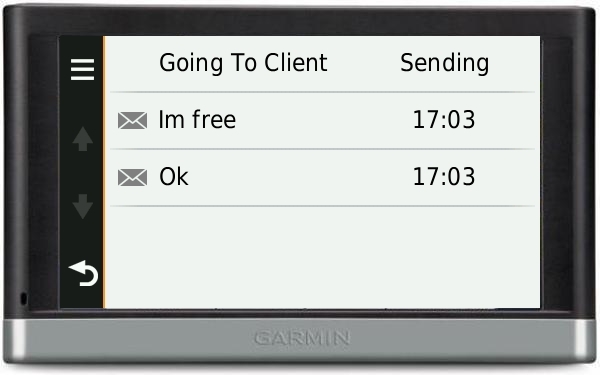 Most Garmin navigators compatible with Fleet Management Interface protocol (FMI) can be used. Please contact Frotcom for a complete list of compatible models. Destinations such as loading and unloading sites can be sent directly from Frotcom to a driver’s navigator, along with written instructions. The driver simply presses the Go key on the touch screen to navigate to the received location. Two types of destination messages can be sent from the office: Frotcom places (points of interest such as customer locations) and free map addresses. Text messages can also be sent and received, as a cheaper and more efficient alternative to phone calls, especially in the case of international transports. Text messages are immediately displayed on the navigator and the driver will be able to reply. A flag icon will be displayed on the navigator to indicate arrival of a new destination. All messages, both sent and received, are kept for future reference. Drivers can navigate directly to their destinations; no more driving around. Getting lost on the way to a customer is a thing of the past; be there on time and improve customer satisfaction. Your drivers will be able to complete more orders without extra effort – and use their time more efficiently. You don’t have to spell out addresses to your drivers over the phone; just text them using Frotcom. The Integrated navigation module is based on a flat monthly fee. You can send as many messages and destinations as you want. Text the driver, and receive texts in return – simpler, clearer and more securely. Designed for long-haul trucking. To be used with the Workforce management software solution. Also suitable for Integrated navigation. 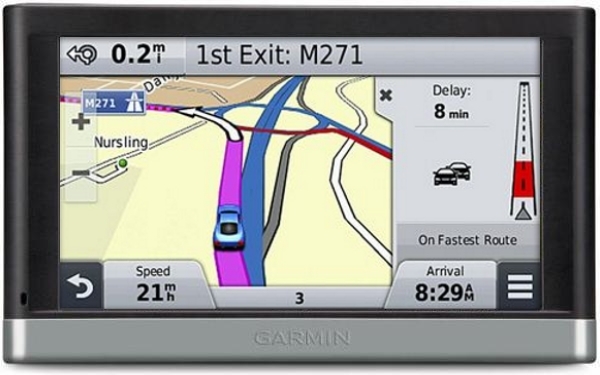 Other Garmin navigators can also be used as long as they are FMI compatible. Speeding and accident alarms can be configured and analyzed in Frotcom, when this camera-equipped Garmin navigator is used onboard. Sold through Garmin resellers. Driving events such as lane departure and warning of forward collisions are transmitted to Frotcom, enabling your fleet manager to better monitor driving performance. 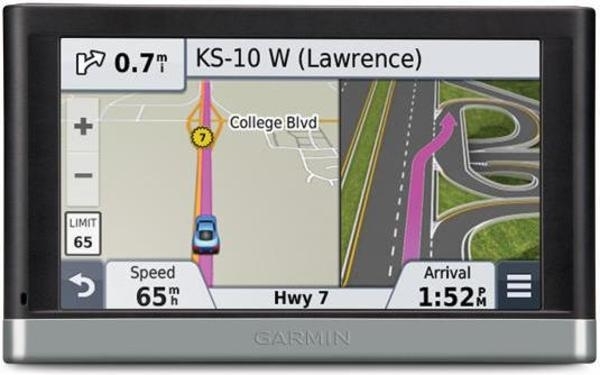 Additionally, speeding and accident alarms can also be configured and analyzed in Frotcom, when this camera-equipped Garmin navigator is used onboard. Sold through Garmin resellers. "Through the integrated navigation the communication with our drivers became more efficient and economic." Frotcom was built so that companies like yours have the tools they need.